Sling TV Canada is a one-of-a-kind internet-based live TV service aimed at cord-cutters. 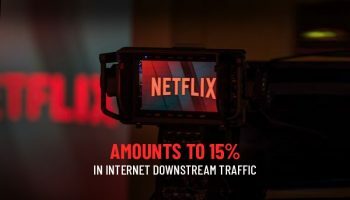 At around $20/month, it offers a wide array of live channels from CNN, HGTV, ESPN and AMC to TNT, Food Network, Disney and even on-demand content on Sling TV! To many people in the US, Canada as well as others, Sling TV is the best alternative to cable TV services right now. It’s the holy grail of cord cutting and a lot of people who just don’t want to blow too much money on cable find Sling TV to be the best solution available. There is a catch though. Sling TV is only available in the US so the content that the live TV service offers is geo-restricted. But if you’re looking for a way to stream Sling TV Canada then read on as we’ll show you how. That’s right, Sling TV is now a reality! Get Ivacy Now To Access SlingTV Outside Canada Instantly. As established, Sling TV Canada is geo-restricted so in order to access it, you are required to unblock it with the help of a VPN. When viewing with a VPN enabled, your IP is masked and you remain anonymous to anybody who is looking to keep track of what you might be doing online. With its massive channels library, Sling TV is the most popular internet-based live TV service in the US. However, since the live TV service is exclusive to US audiences, you can’t watch Sling TV outside the US. To bypass this geo-restriction, you will need a Canada VPN to change your region from Canada to the USA and access Sling TV Canada. With a Sling TV VPN, you a mask your IP address to that of US IP and access its entire region-locked channels library without having to worry about geo-restrictions. 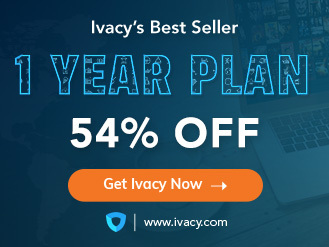 Ivacy VPN is the best Sling TV VPN in the world. It gives you incredible streaming speed to make sure you get the best Live TV entertainment experience. Moreover, with more than 250 servers spread across 100 locations in 50 countries, you can access Sling TV and watch your favorite TV channels, shows and movies from virtually anywhere. Under the ‘Purpose’ tab, select ‘United States’ to connect to US’ Fastest Server. You will promptly be connected to US Fastest Server. Once you have connected to US’ Fastest server, the Sling website will instantly be accessible to you. Simply subscribe to Sling Live TV service and enjoy live streaming of all your favorite TV channels right at home! The same way, you can unblock Sling TV Canada in the UK and watch all your favorite US channels right at home without a cable subscription. All you have to do is use Ivacy – the best Sling TV VPN – and connect to US’ Fastest server from any part of UK. You would need a subscription to Sling live TV service too. You will promptly be connected to US’ Fastest Server. Once you’re connected, all you have to do is go to the Sling website and subscribe to the live TV service to get unrestricted access to all your favorite TV channels. So with Ivacy, you can view Sling TV Canada outside the US or anywhere in the world. 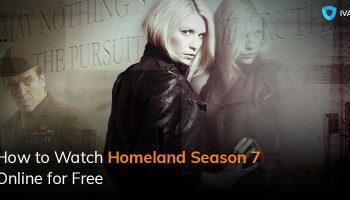 Once you are connected to Ivacy’s US’ Fastest Server, simply get a Sling subscription by going to the Sling website and watch all your favorite US TV channels on any compatible device. So by connecting to Ivacy’s optimized US Fastest Server, you can watch Sling TV in Australia, the UK, Canada or anywhere in the world. On Roku home screen, click on the Search button in the left-hand menu. 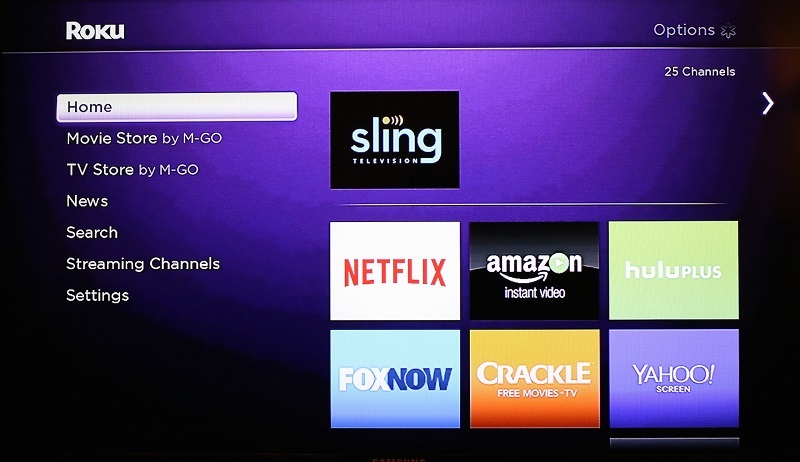 Type “Sling TV” in the search bar to find the Sling TV app for Roku. From the search results, click on “Sling TV” app. That’s it! Now you can stream any TV channel anywhere in the world and watch Sling TV on Roku without a worry about geo-restrictions. Also, do remember that you would still need Ivacy to unblock Sling since it is a region-locked live TV service that is available only in the US. Go to Sling TV website and scroll down to the foot of the home page. Click on the Install Now link under the Get The App category. You will be directed to the Supported Devices page. Click on the Apple icon under Laptops & Computers tab. The latest version of Sling TV for Mac will begin downloading. Open the downloaded file to run the installation process. Once the installation is complete, drag and drop the Sling TV app icon into the Applications folder. Launch Sling TV app and enjoy live streams of your favorite TV channels. 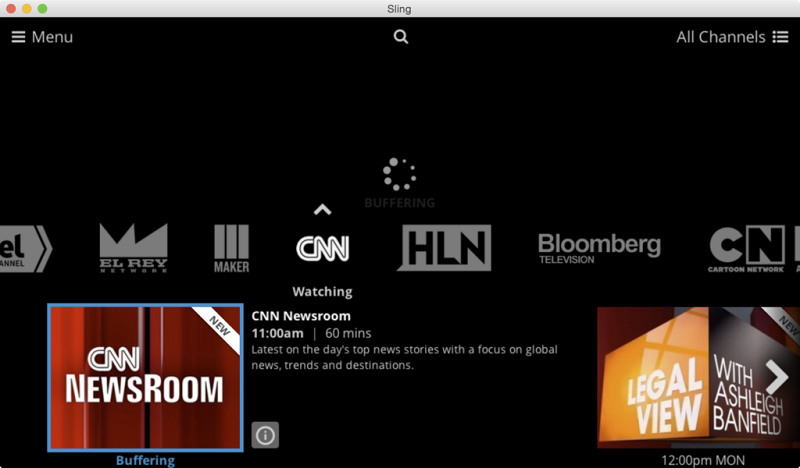 With Ivacy, you can watch Sling TV on Mac without having to worry about geo-restrictions. Stream any channel anywhere in the world with complete anonymity and privacy. From Xbox One home screen, go to Store>Apps. Click on Browse all apps. Now click on Search and enter “Sling TV” in the search box. 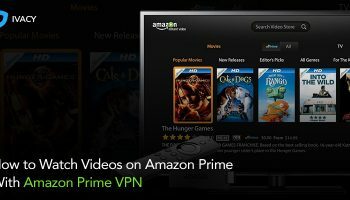 Do remember though that you would still need Ivacy VPN to unblock Sling TV Canada and watch geo-restricted TV channels from around the world on your Xbox One. Following is the list which makes up Sling TV channels and will cost you between $20-$25 or on occasion, $40 per year. Come to think of it, these channels are inexpensive as opposed to other streaming services. Now that you know the list of channels, it is only logical to share with you the alternatives, in the case you cannot access Sling TV Canada, in its entirety. Below are a few awesome Sling TV Canada alternatives which are bound to make your day. It is one of the best alternatives to Sling TV. Relatively expensive when it comes to Sling TV but there is a reason why it is priced high. To begin with, PS VUE allows for streaming up to 5 devices simultaneously. Also, due to its solid DVR, you can get hold of unlimited recordings and playback controls. But make sure you have a high bandwidth or you won’t be able to take advantage of the platform. Instead, you will face lags in streaming. 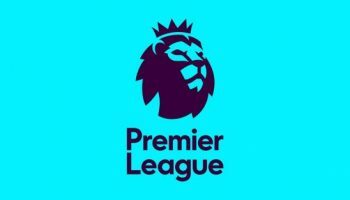 Over the period of time, YouTube TV has undergone improvement and in other words expansion. It has support for the majority of the streaming channels. That is why it is the most suitable alternative to Sling TV Canada. YouTube TV takes the cake in terms of its easy to understand interface. With YouTube TV you can stream the content on up to 3 devices and can avail 6 different subscriptions. Moreover, you will notice YouTube has the best DVR service all across the board with unlimited DVR cloud storage. As of writing this, YouTube is not up for grabs in metros everywhere but if you are looking for Sling TV alternative, it’s certainly worth the wait. Another viable alternative to Sling TV Canada with simultaneous streaming available on up to 2 devices. You can also ask for inclusion of additional channels at an inexpensive price. There is no DVR service available with DirectTV Now. That is perhaps the biggest downer, at the moment. If you are an AT&T subscriber, you can get lucky with DirectTV Now. 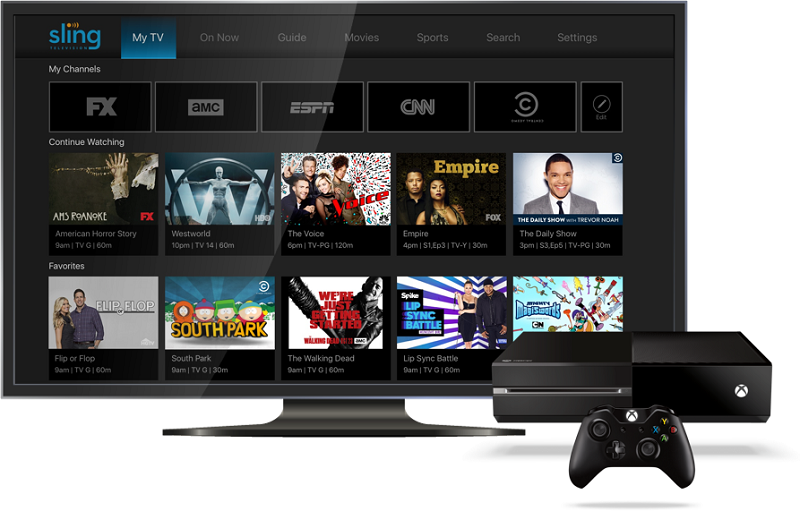 This alternative is still in its beta version nevertheless a great alternative to Sling TV. The pricing is quite lucrative and on top of that, you get access to Hulu premium as well as an ad-free account that lets you access over 5 live channels. With Hulu, you can stream your favorite content on up to 2 devices simultaneously. And if you are the kind of person who just wants to stream a few movies and TV shows a month and don’t like to spend on Sling, there’s an economical version of Hulu for you too. Here’s how you can catch Amazon Prime outside of US and save money on cable. So what are you waiting for? Christmas?